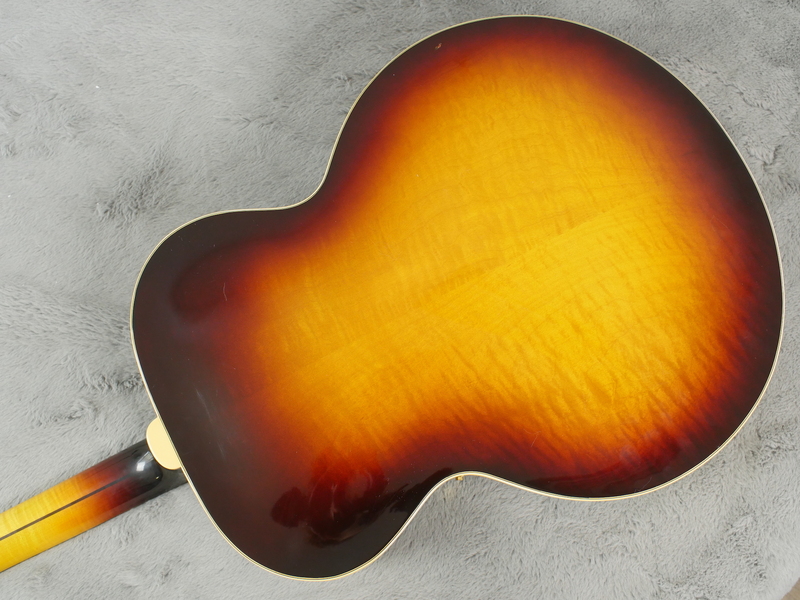 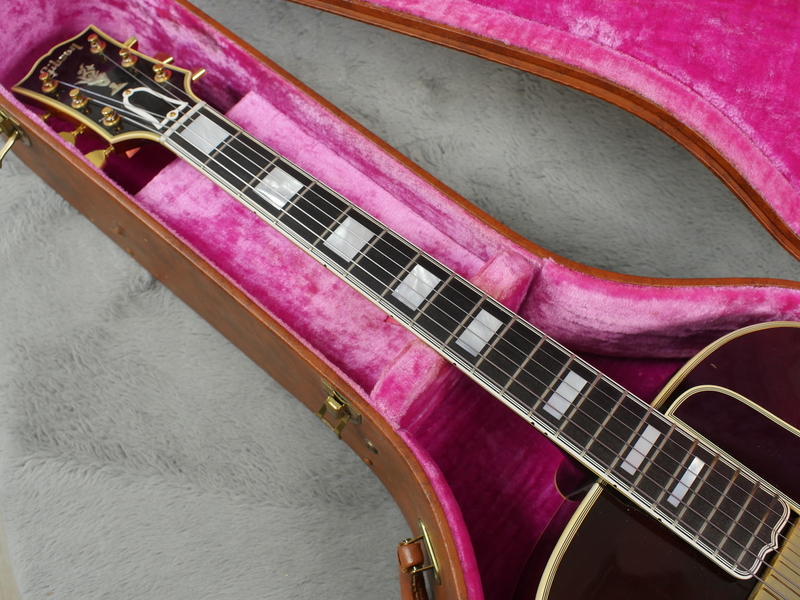 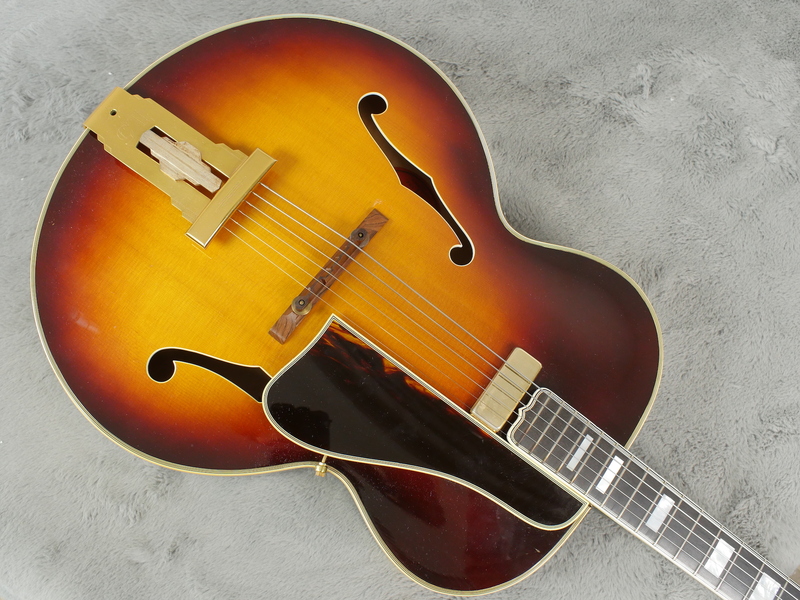 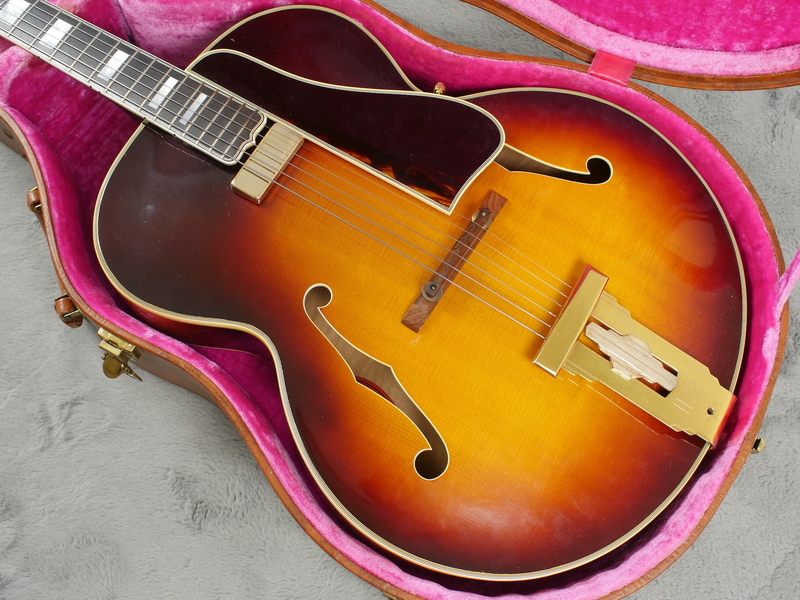 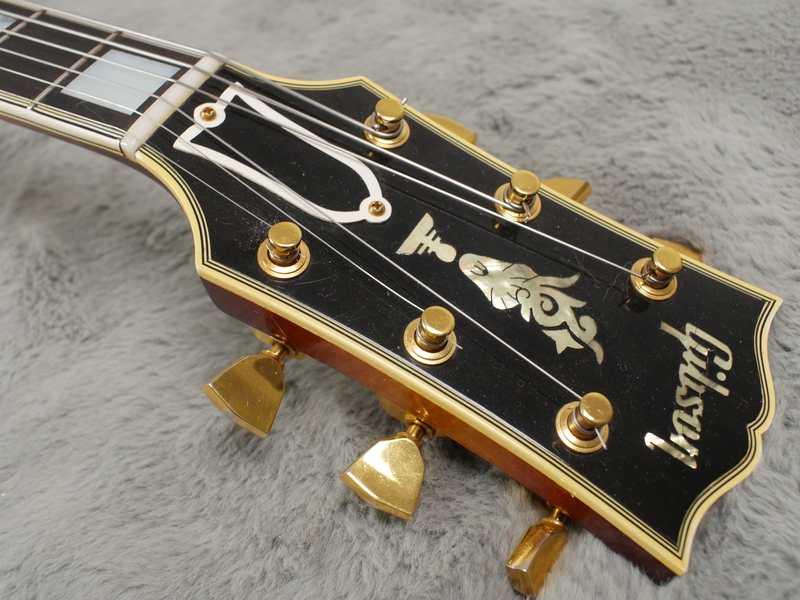 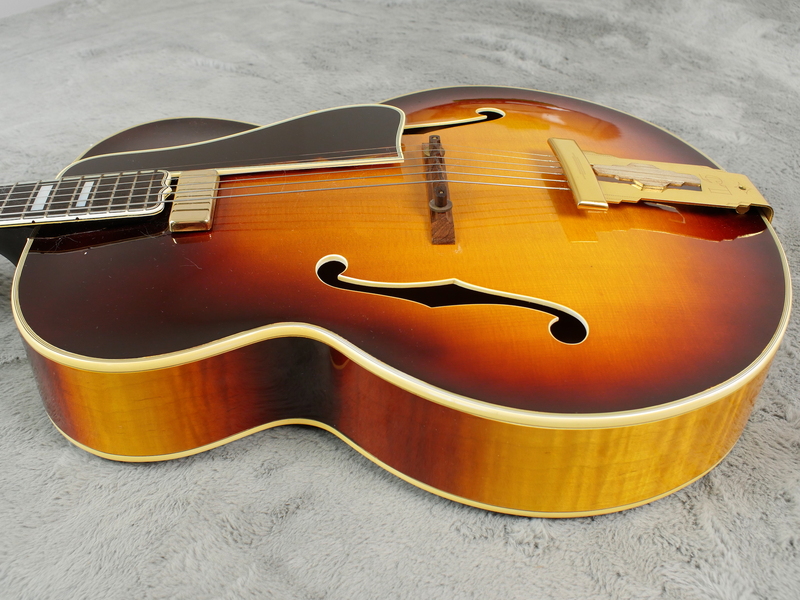 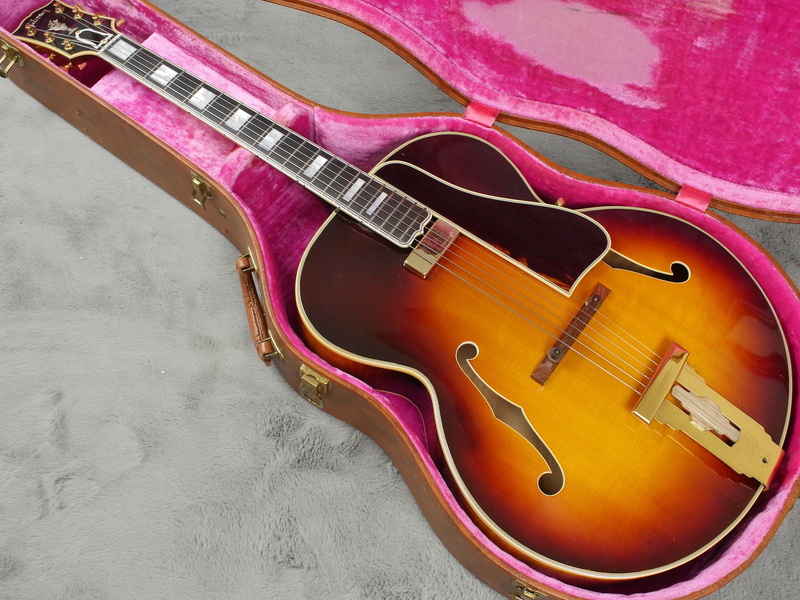 Almost time warp condition, this stunning, top of the range, Gibson L-5 will not disappoint the most critical of connoisseurs and includes its original brown case that is also in mighty fine condition. 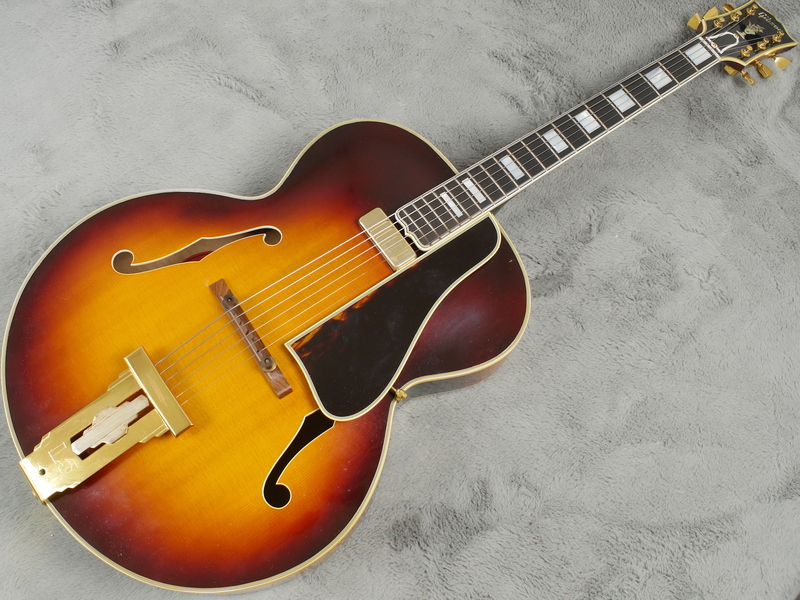 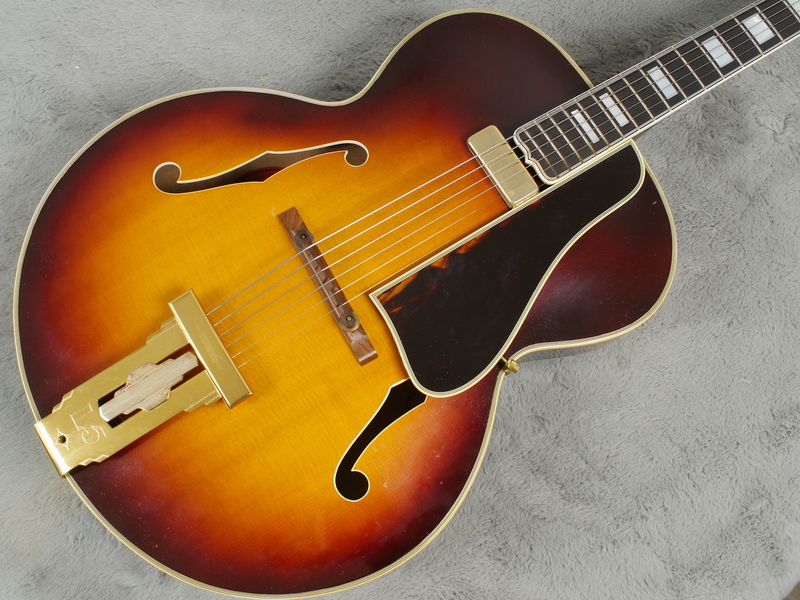 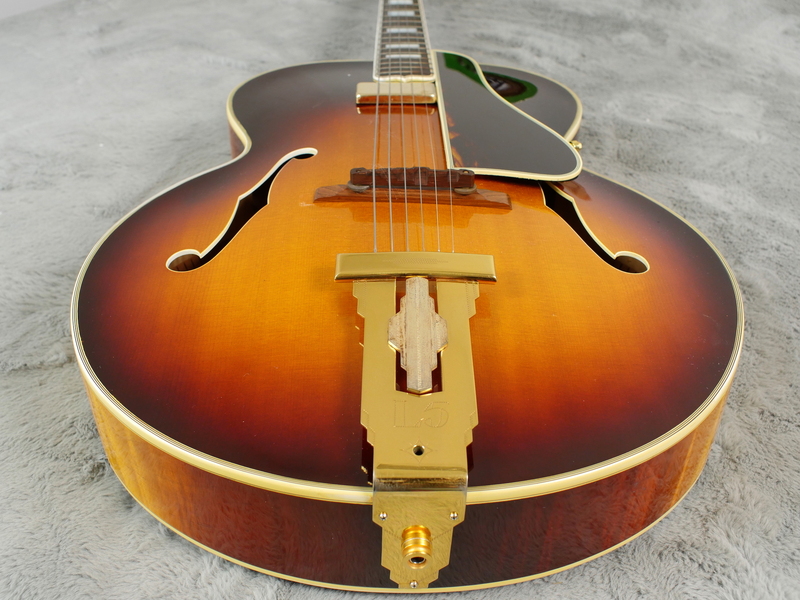 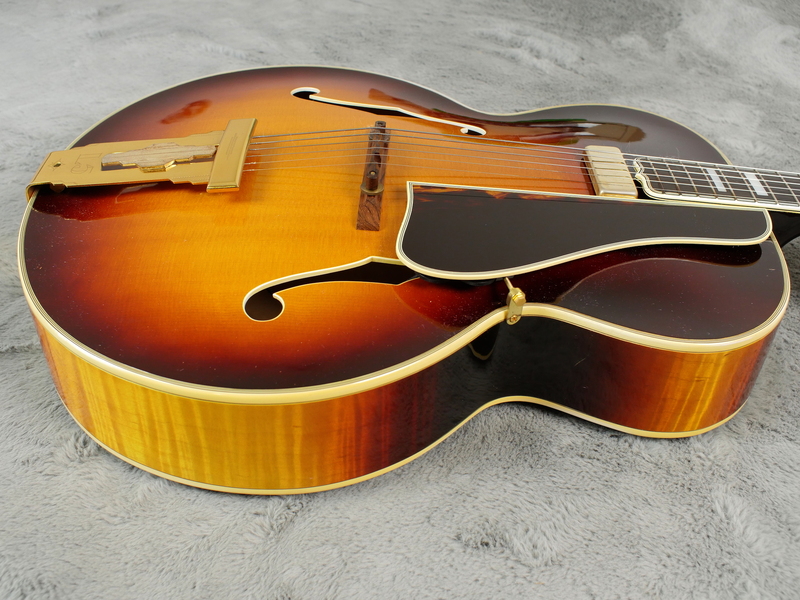 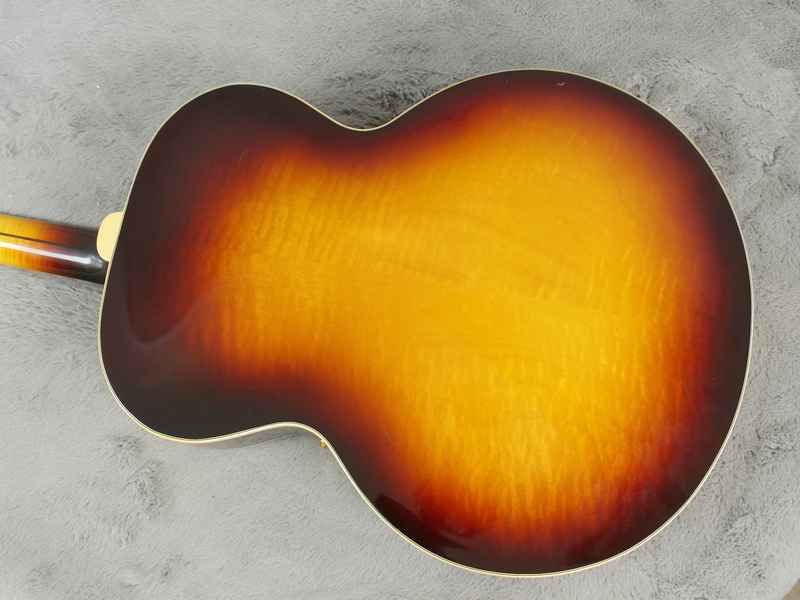 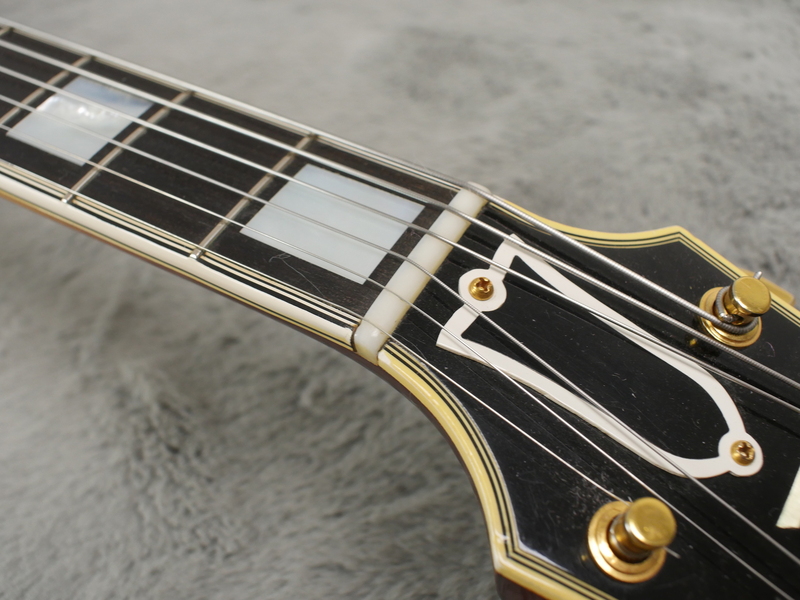 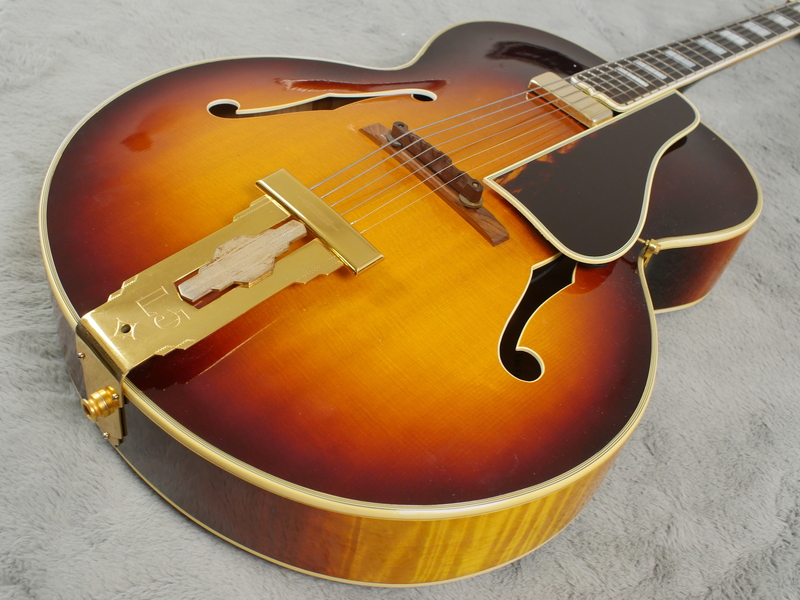 Made in 1957, at the dawn of Gibson’s ‘golden era’ with a beautiful chunky C neck profile and a deep black ebony fingerboard, it retains its original vibrant sunburst finish which has not faded at all over time and even the gold plating, usually the first to wear, is still looking almost as new, especially on the original Kluson Sealfast tuners. 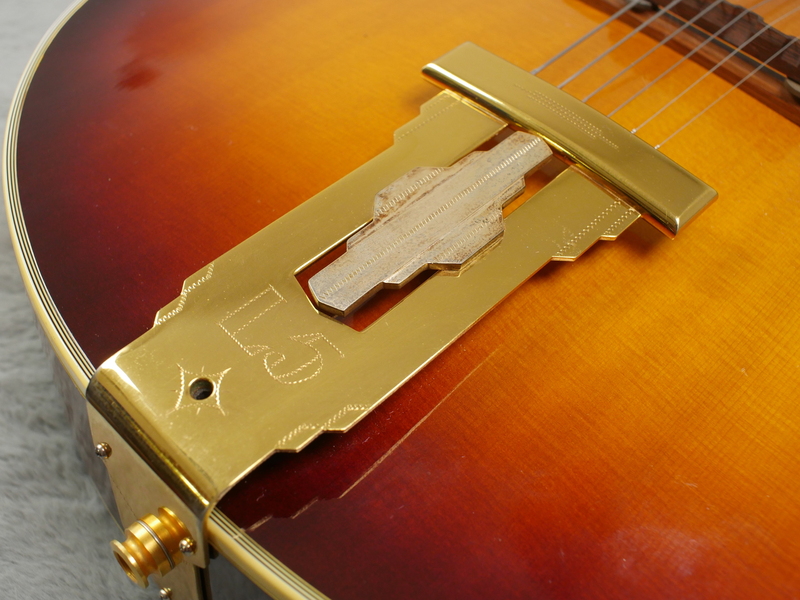 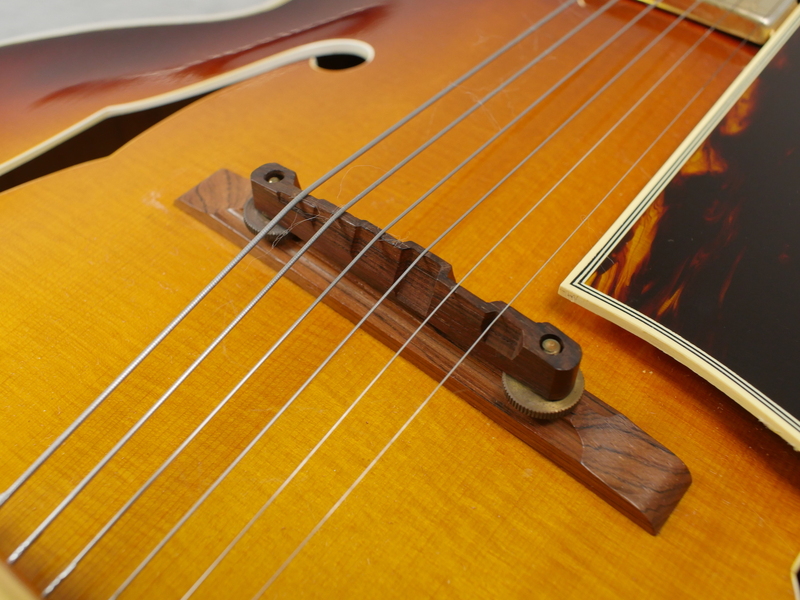 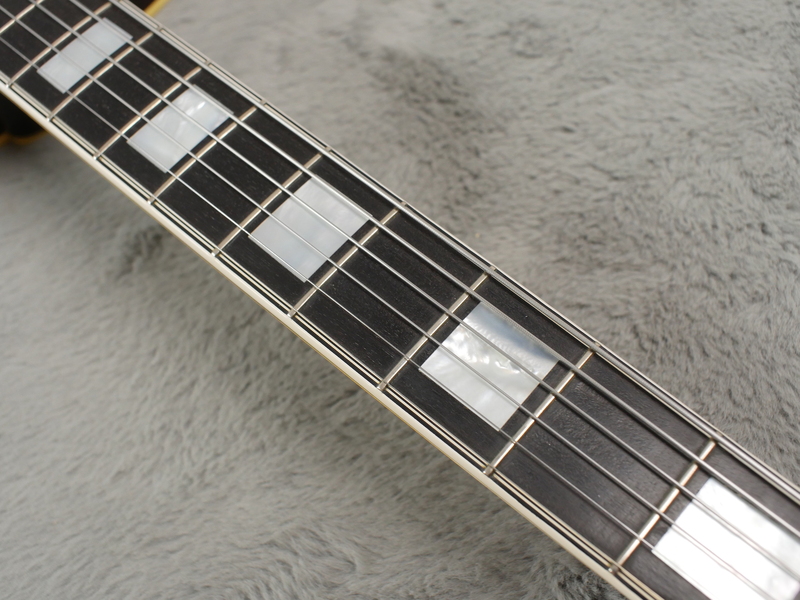 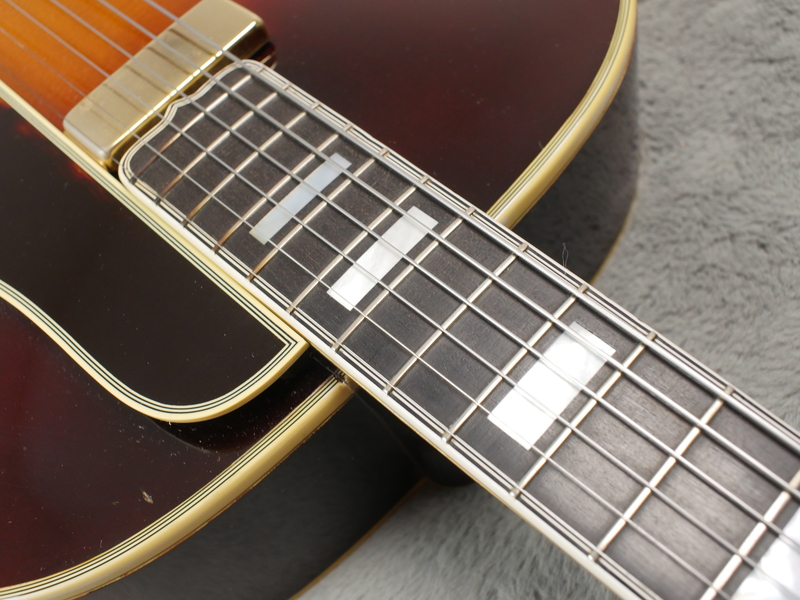 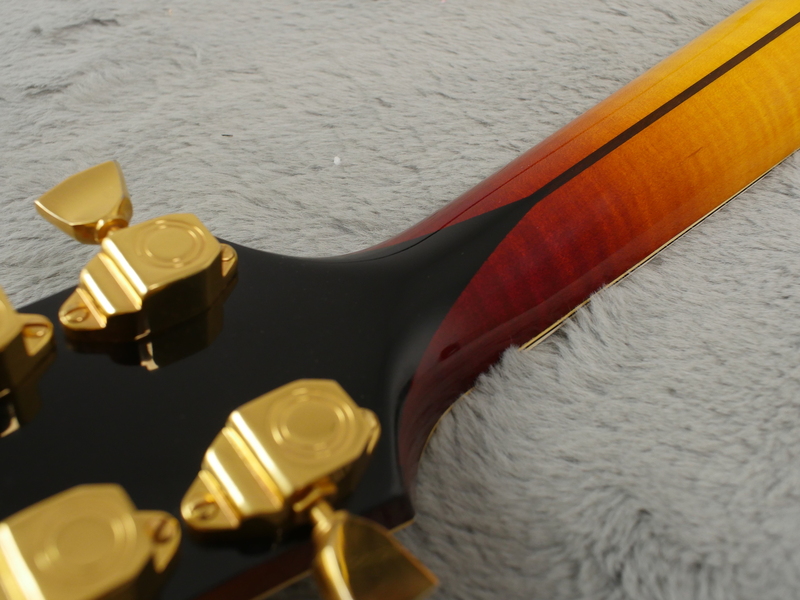 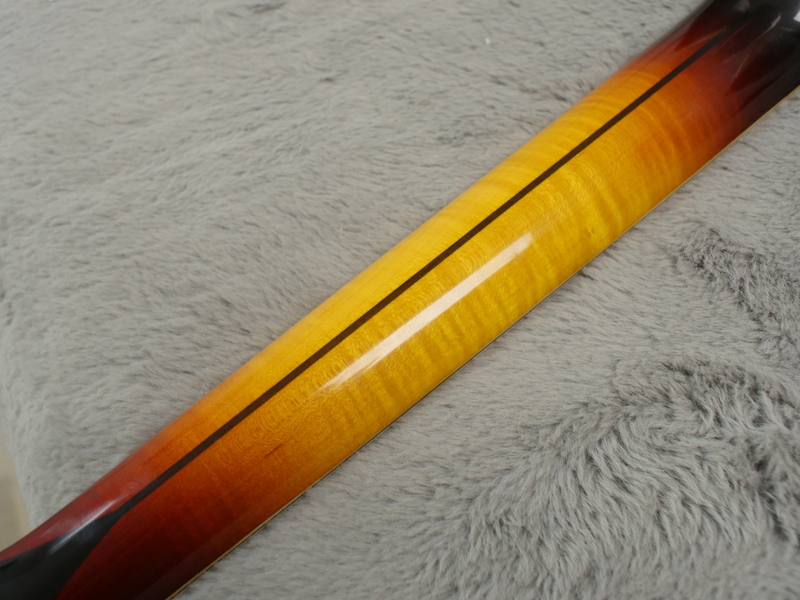 It has probably been played with a lifetime of flat wound strings fitted as the frets are just about as good as new. 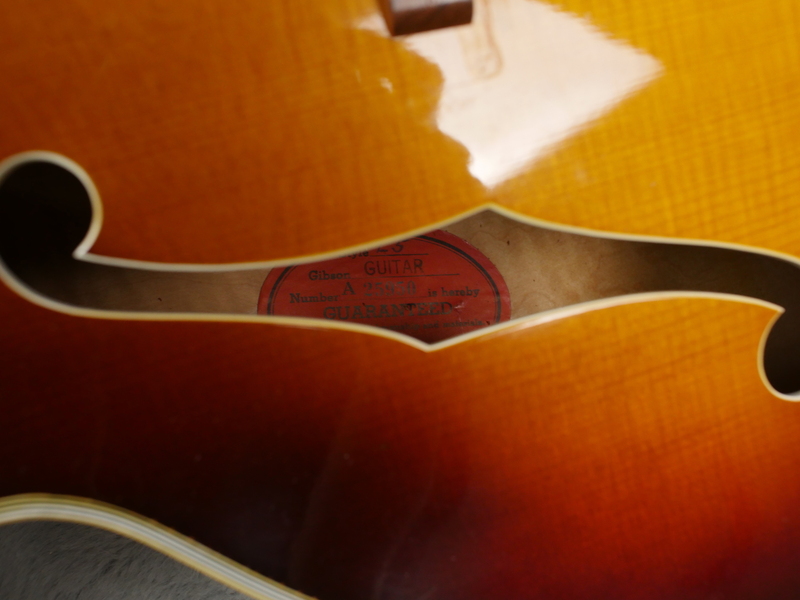 There are no wear spots on the fingerboard and no wear on the back of the neck either so whoever previously owned this amazing guitar must have really treasured it. 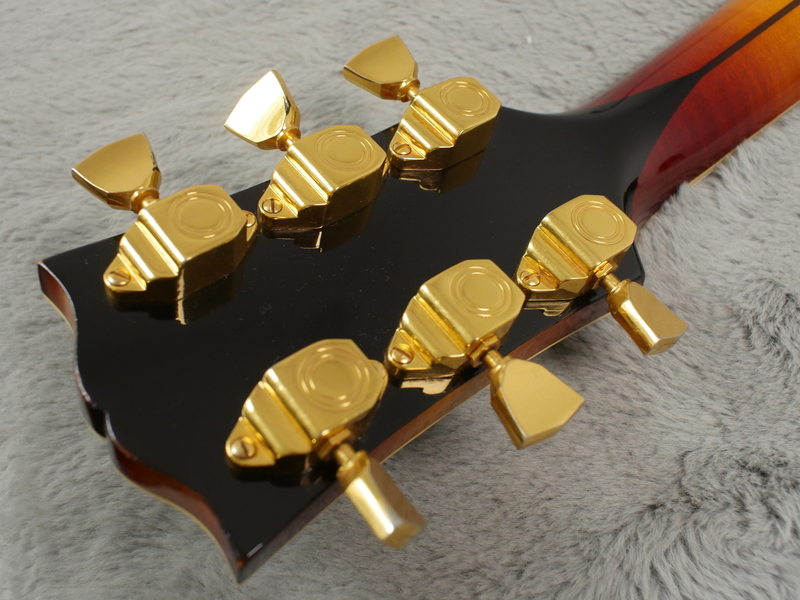 It is a real joy to play, it has a really easy action and as set up at the moment with flat .12’s, it almost plays itself. 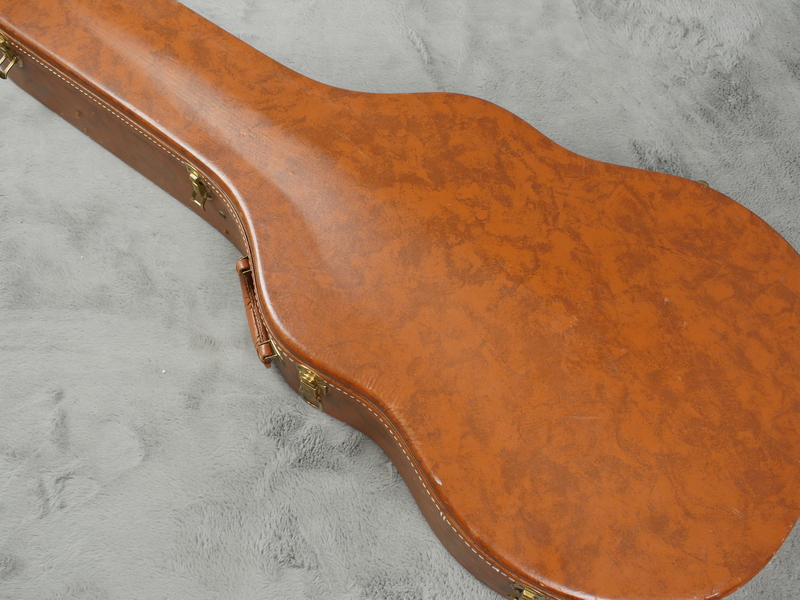 Acoustically it is strong and loud, just as it was always intended to be. 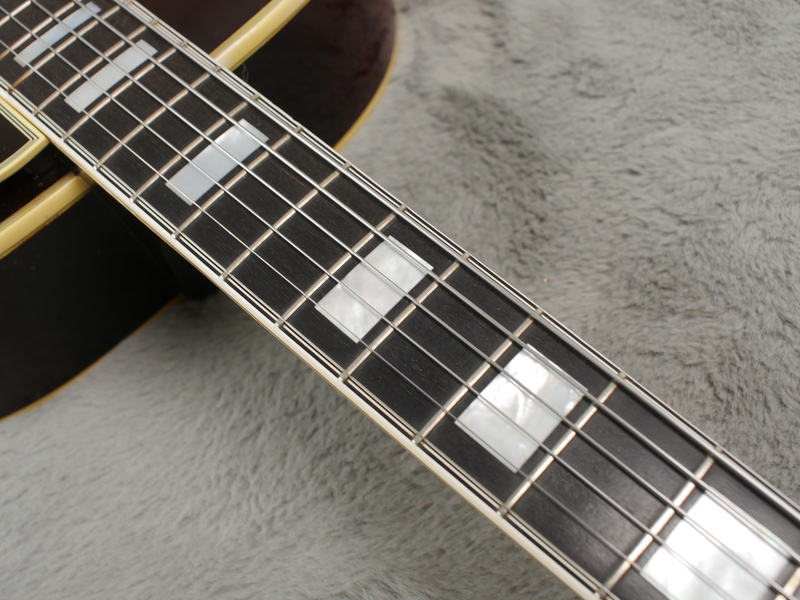 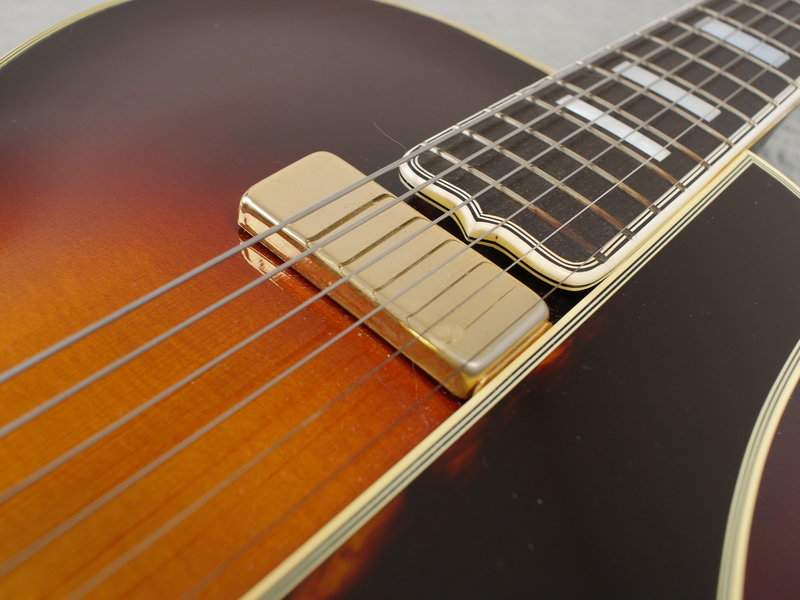 A non invasive, Johnny Smith pickup has been fitted to the guitar which as you can imagine works real well for jazzy tones and is a perfect compliment to the L-5. 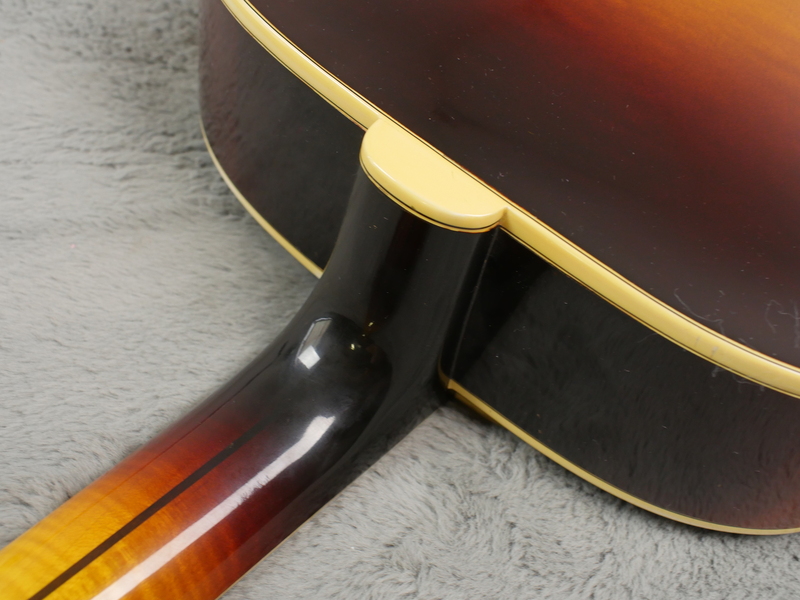 The jack socket is on the end pin which is a far more convenient solution than being on the pickguard and both volume and tone thumbwheels are neatly and discretely tucked away just under the pickguard for easy access with your fingers.